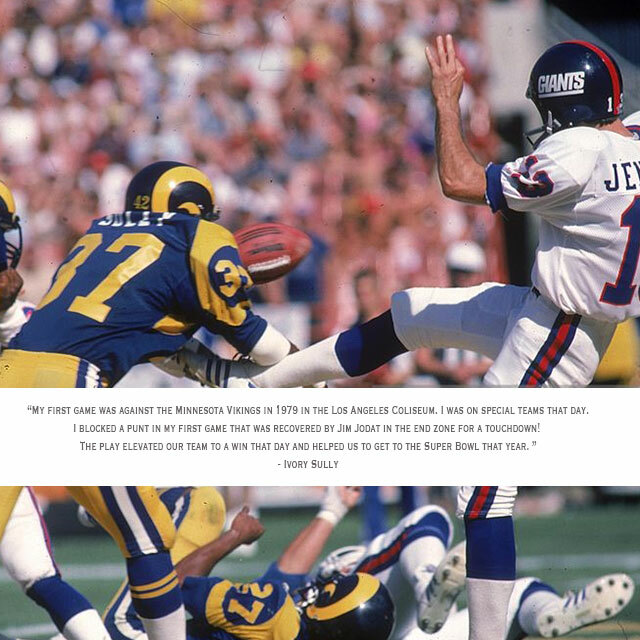 My first game was against the Minnesota Vikings in 1979 in the Los Angeles Coliseum. I was on special teams that day. I blocked a punt in my first game that was recovered by Jim Jodat in the end zone for a touchdown! The play elevated our team to a win that day and helped us to get to the Super Bowl that year.